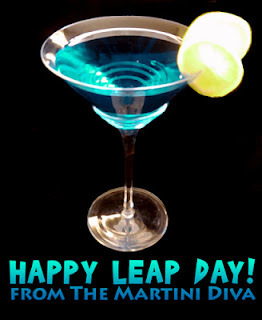 A Cocktail for Leap Day on Leap Year! Once every four years we get an extra day. I figure that means we should get an extra martini! *According to Gary Regan in his book, "Joy of Mixology"